GPMD's Mega Nav Module for Shopware – GPMD Ltd.
What does the Mega Nav do? The Mega Nav enables the merchant to have full control of their main navigation. The merchant can choose between 3 different frontend display modes. This option will enable the Mega Navigation layout, allowing you to set multiple columns of links and images per menu item. The Mega Navigation usually displays when a user hovers over the menu item. For usability reasons, the Mega Navigation is only used when a user browses a website on a desktop computer or tablet device. On mobile, the standard Shopware off-canvas mobile navigation is displayed. If the Off mode is selected, the only action the user can take, is to click on the main menu item. Once the Mega Nav module has been installed it will automatically override the standard Shopware menu system. To create a new menu item, click on Add Item. Position - Determines the sort order of the menu items. Does the Mega Nav work on mobile? No. For usability reasons, the Mega Nav will only display on desktop on tablet devices. On mobile, the native Shopware mobile menu will appear. IMPORTANT: The content of the Mega Nav and the content of the native Shopware mobile menu aren't linked. The content of the native Shopware menu is automatically generated based on the category structure, whilst the content of the Mega Nav is manually curated by the merchant! My HTML skills aren't that good. Can GPMD help me set-up the content of the Mega Nav? Yes of course. Each client will be provided with a guide on how to manage the HTML content of their Mega Nav dropdowns. 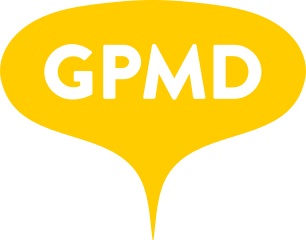 Please contact support@gpmd.co.uk if you required any assistance.